Just wanted to remind everyone that my studio @ Scrapbook Graphics will close its doors this Sunday, October 31st at 11:59PM EST. Remember, everything in my store is at least 55% off. If you have been eyeing anything, now is the time to grab it, before it's gone. I'm guessing some of you have already heard but if you haven't, I wanted to tell you myself. After nearly 5 years in the business, I've decided to retire from my career as a digital scrapbooking designer. For any of you that have followed my career, you've probably seen that since I bought a house, my productivity and activeness in the community has come to a screeching halt. I've been debating retiring for about 6 months now and a month ago, finally got the guts to email Maya and do it. It is so sad to be saying goodbye to this part of my life but in all honestly, I'm hoping it's only temporary and that after the wedding and the holidays and a few more renovations, I might get my groove back and jump back in the game. But for now, I'm out. I will be closing the doors to my studio at the end of the month. In the meantime - everything in my store is at least 55% off. If you have been eyeing anything, now is the time to grab it, before it's gone forever. I wanted to say thank you to all of you who have been my customers over the last 5 years. 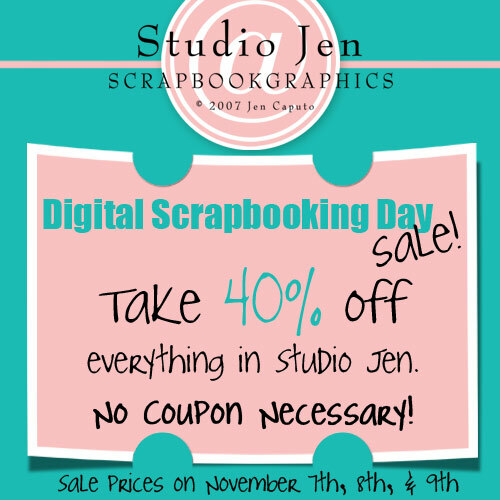 You have no idea how much it means to me that you would choose to spend your digital scrapbooking budgets with me. I hope that you will continue to share your creations with me even if I'm not hanging around the community much anymore. I have got the mother load of sample templates for you this month thanks to the girls of Studio Rosey Posey's CT! A lot of them jumped up and tackled these templates and I'm so pleased that they did. They are awesome scrappers and Rosey Posey's kits are awesome! They're up at Scrapbook Graphics, right here. Now, check out all of these layouts! I showed you my sample the other day but I forgot to show you the finished collection! So here it is. I have lots of samples to show you too. Pick them up right here. Use coupon code jc-35blog25 to get 25% off (expires June 27 @ 11:59PM EST). Even though I haven't digi scrapped since October of last year (and April before that!) I'm still a scrapper. I actually really miss it, it's been way too long. Will someone find me just a few more hours a day? I think 4 would suffice. I scrapped my Milwaukee trip last night. I finished some new templates (that should be up in the store by Thursday) and they actually inspired me to push some pixels around. I used Miss Vivi's To Do Kit @ SBG. Along with Sketch Collection #35 which will be in my store shortly. Sketch Collection #34 is live! I woke up a little early this weekend and got some new templates done. And I have a whole bunch of samples for you! You can pick them up right here if you like them! Happy (inter) national scrapbooking day! 40% off everything in my store using coupon code jc-insd10-40. Expires Monday, May 3rd at 11:59PM CST. Creative Fusion is now available!!! Click Here to Download our FREE Catalogue listing of all the Studio Girl About a Mother Products as well as an Exclusive Free Gift inside! Creative Fusion is a collective expression of unique impressions of our theme choice - About A Mother. Each designer participating has brought her individual style to our common theme and palette. Since this is an interactive product line, you also get to participate in the co-creation of this collaboration as you pick and choose from the individual mini-packs of Creative Fusion Products. Studio Girls come from many different places on the planet, and have a wide variety of backgrounds and personal stories. While our styles vary dramatically, we all share a common passion and purpose. We work harmoniously together exploring and expressing ourselves through this craft, while at the same time celebrating our individuality, uniqueness and diversity. I thought I'd show you my portion. You can pick it up for only $3 right here. Here are a few layouts that Carola from the Studio Crew created with my templates and the rest of the Creative Fusion collab. Anyway, that's what inspired my latest set of double-pagers. Hope you like 'em!! Here's a few sample layouts from Denali, Nikki, and Brandi. If you like them, you can pick them up right here. So have you guys been over to Scrapbook Graphics lately to see the total site re-design? I decided the new look required a new sale - my first of the year! First off, who wants to talk about Lost? I'm obsessed... currently watching it for the 2nd time of the evening... leave me comments, tell me your theories, lets chat all things Lost!!!! To celebrate the big premiere, one of my favorite people in the whole wide world came over and I cooked up some dinner. I made salad and brought out pizza toppings and hand made dough so we could cook up our own pizzas. Kris (that awesome person I mentioned earlier) snapped these pics of me getting dinner ready. How 'bout that big burnt spot huh? Ha! Ok, let me tell you about this pizza. First off, I started off with this Sweet Provençal Flatbread with Anise Seeds dough. I topped it with honey, dates, pear, mozzarella, and goat cheese. O. M. G. This was our first course but it pretty much tasted like dessert. It was so so good. The burnt spot - that's honey that leaked off the top (and then burnt itself up). Did not affect the pizza flavor at all of course but Kris didn't take a picture of it looking pretty on the cutting board without the burnt spot.... oh well. Trust me... if you ever make your own pizzas, try topping it with honey, dates, pear, mozzarella, and goat cheese - your taste buds will thank you! I put some new sketches up the other day, I just ran out of time to tell you all about them :) So come look now? And a few sample layouts for y'all. They are available right here for just $4! I did a little DIY project for Adam's aunt Karen's Christmas gift. I started with a $10 frame from Homegoods. Then I stamped on some pieced of canvas, sewed on a bunch of buttons, and called it good! Here's some upclose shots of each panel. The K's & M's are for her initials. Sewing these stems sucked. But they look cute right? The buttons are from the Vintage button collections at Papertrey Ink. I also got my template together for a 2009 Year in Review layout. She was quite the crafty girl last year wasn't she? You can pick up the new template, right here. I've got it marked down just over 20% right now! Since I haven't gotten my booty in gear to make any new ones for this year yet, I thought I'd remind you of some of my prior products that are perfect for this time of year. Or... perhaps you are like me and have resolved, yet again, to drop a few pounds. Well how about joining me and creating a Weight Loss journal to track your progress? It helped me lose 26 lbs last year! Use coupon jc-newyear2010 to take 35% off these goodies now through January 10, 2010. Hey digi-girls! Need a last minute gift for someone? Well everyone knows that Cash is King but how about gussying it up? I threw together a few Money Card Templates for digital/hybrid scrapbookers based on the one I shared yesterday. I've got them marked at just $1.50 right now, so go pick them up and whip up an extra special holiday card to make someone's day! I'm a BIG fan of the Shutterfly Photo Books. 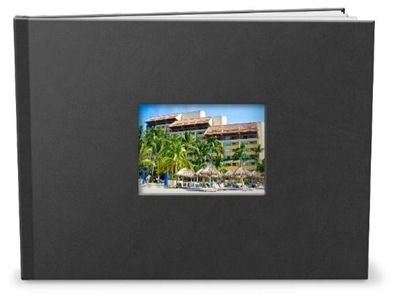 In fact, you can see my previous ventures in printing Shutterfly books right here. 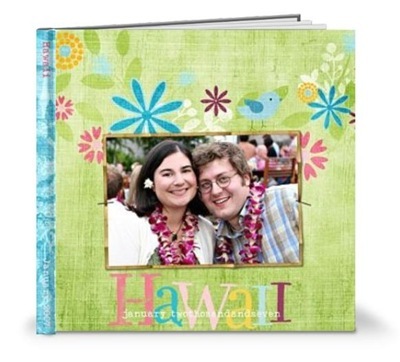 New 7x9 photo books with personalized soft photo covers starting at $15.99. These are great for people who like to make 8x11 books but want a smaller, more affordable option to use for gifts. Soft photo covers on the existing 5x7 and 8x8 books, both at great starting prices of $12.99 and $19.99 respectively. The flagship 8x11 photo books with a hard photo cover. So, I'm whiling away my Saturday morning over on Shutterfly's site making myself a book and I thought you folks might like to make one too! I'm giving away 2 photobooks. All you have to do is leave a comment and let me know which of the new Shutterfly books you are most interested in! I will send out the coupon codes on Sunday so you can get started on your book! Contest Winners Announced! DSD Sale Announcement! New Product Released! First up, let's see who Random.Org says won the new sketches! There were 141 entries so I'm choosing 10 winners! I really like all of your blog posts, but especially the kitchen organizing and the bags of pumpkin puree to freeze. I really enjoyed your kitchen remodel updates. It was neat to see things progress! I subscribe to your blog with Google Reader - I don't want to miss a single new template! I subscribe to your blog through bloglines..have for a long time. I love your sketch templates. I subscribe to your feed through Microsoft Outlook 2007. It so EASY to get my feeds the same place I get my mail and my calendar and my notes, etc. I love programs that serve multiple purposes! HI. Loved seeing the kitchen redo. Awesome! Hi Jen--thanks for the update to know I need to post each comment separately! This comment is to say that I subscribe to your blog's RSS through Google Reader! My favorite blogpost of yours is when you announced that Adam asked you to marry him! Hi Jen! I'd love to win the templates! I've been following your renovation entries and I liked the one on your Container Store purchases-- one of my favorite stores! Whew - ok ladies. Email me: jen at jencaputo dot com to let me know you won and I will send you a code to pick up the new templates! All of these ladies won my new Sketch Collection 31 which was released tonight! Click here to start shopping those awesome prices now! I finished up a new sketch collection tonight that will go up on Friday, just in time for Digital Scrapbooking Day. My CT is scrapping away some samples, but in the mean time, I thought I'd give you a chance to win it before you can buy it! Add a comment to this blog post telling me which of my recent blog posts you liked the best and why. I will award 1 Sketch Collection for every 15 entries! But wait - there's more! Maybe you'd like to enter more than one time to up your chances - sounds good to me, but there are more rules. For each of the following things you do, you can grab yourself 1 more entry! (In parentheses I put what I want you to write in the additional entries as proof.) LEAVE A NEW COMMENT FOR EACH ENTRY! For each one of the above things you do, you can leave another comment on this post giving you another chance to win! I know this may sound hard to believe (since I haven't had a new pack out since April!) but, I have new sketches in the store today! I was even inspired to scrap with them and we all know how long it's been since I've scrapped! If you want to pick them up, you can do so right here. ... and what could this be all about? All I can say is that fun and deals will abound! Just a reminder about my big 40% off sale (with coupon code: jc-popcorn40)! Check out this awesome banner Kitty Chen made me for the details! Hope everyone has a great Labor Day weekend, I'm so excited to start tailgating tomorrow morning - Go Blue! !